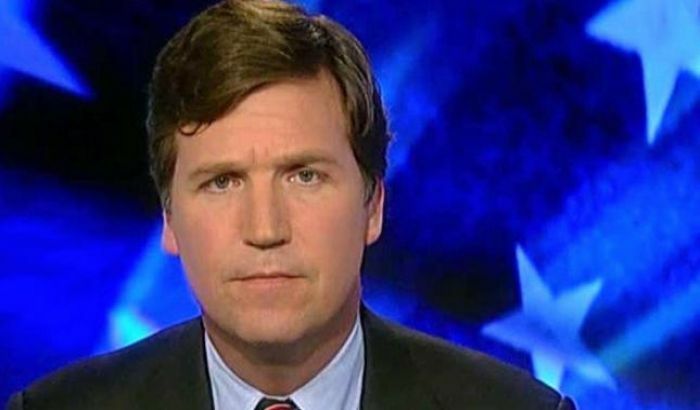 Pray for Tucker Carlson’s family: Sign the pledge! On Wednesday evening, a mob of left-wing Antifa activists marched on the home of conservative political commentator Tucker Carlson. Shouting profanities and making threatening remarks, 20 or so radicals from the extremist group Smash Racism DC held signs outside his house and called him a “racist scumbag.” Eventually, the front door to the residence was broken. Thinking it was a home invasion, Carlson’s wife, who was home alone, locked herself in the pantry and called 911. Matthew Yglesias, co-founder of the liberal Vox website, seemed to defend the group's behavior. "I agree that this is probably not tactically sound but if your instinct is to empathize with the fear of the Carlson family rather than with the fear of his victims then you should take a moment to reflect on why that is," he said in a now-deleted tweet. In another, he said "I honestly cannot empathize with Tucker Carlson’s wife at all — I agree that protesting at her house was tactically unwise and shouldn’t be done — but I am utterly unable to identify with her plight on any level." In an interview with Fox News’ Brian Kilmeade, Carlson, who regularly exposes leftist groups on his show, said the mob was an attempt to intimidate him. Carlson, a church-attending Episcopalian, has discussed the horror of abortion multiple times on his program Tucker Carlson Tonight. This despicable attempt by radical leftists to intimidate you is a disgusting display of the worst elements in American society today. I stand with you and your family, especially your wife, during this time and will offer up in my prayers a special request that God bless and protect you and your family.